I drove north on Interestate 25 through Wyoming easily recalling everything I hate about freeways in the United States. I wanted to get off on a highway and enjoy a bit of the area; after all, I was on vacation and not exactly in a hurry to get anywhere. Fortunately I saw one of those lovely brown signs that points to areas of interest. This particular one lead to the Oregon Trail wheel ruts and Fort Laramie National Historic Site. I headed east on Highway 26 in search of my first stop. And while there were a few historical markers along the way, I skipped them and made for the sleepy town of Guernsey, Wyoming. 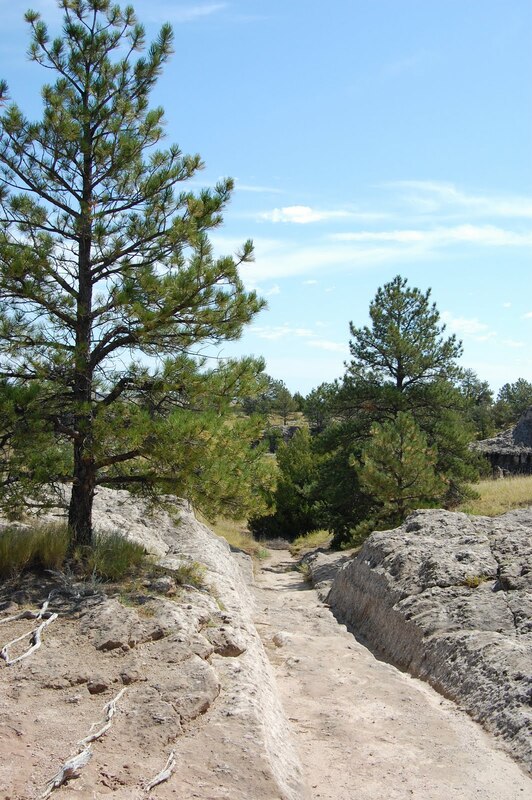 The Oregon Trail Ruts are easily found just south of town in a small park that has a well-paved trail with excellent historical information referencing the pioneers and soldiers who walked the trail at the time. I made my way up the trail from the car park, enjoying the day, and came across a sign that said the ruts were right there. It took me a moment to register everything, but then I noticed the deep path through the stone. The first time I looked at it I thought it was natural; instead it was the work of hundreds of wagons over years of use as people headed west to what they hoped was a better life. 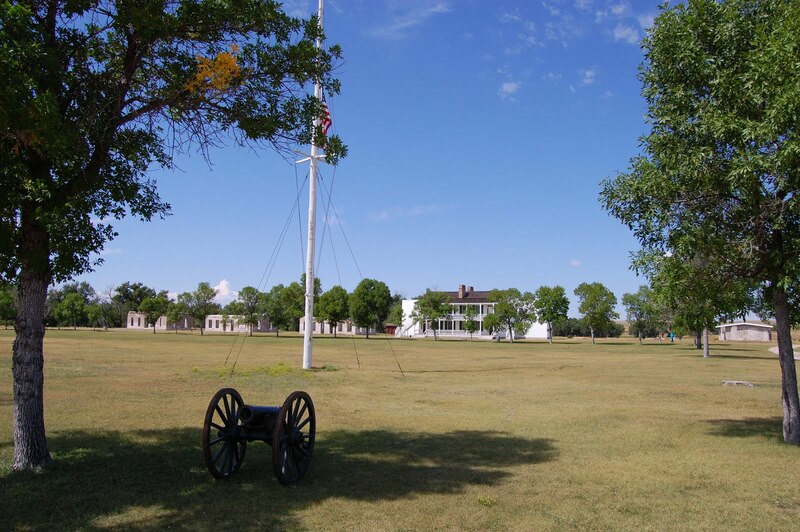 Ft. Laramie is just a short drive east and as much of an enjoyable surprise as the ruts. I had expected to see a traditional fort with walls and battlements when I pulled into the parking lot. I instead laid my eyes on an open complex of buildings that constituted a fort; there was no sign of defenses or worry of attack anywhere I looked. Instead it seemed like an small and inviting frontier town on the Wyoming prairie. I spoke with a park ranger near the captain’s quarters who was giving a private tour while his small group was inside the house. He told me the design of the fort was due to the lack of natural resources in the area. There wasn’t timber nor mud to create walls for defenses. And since the Indians were friendly in the area they opted to leave it open to invite trade with the local tribes. After his explanation I left the ranger to his tour and wandered the grounds on my own, enjoying a peaceful and sunny afternoon. It wasn’t so lovely though when I walked into the prison barracks for the camp. I felt a chill run up my spine in the basement room that was now littered with bat droppings. 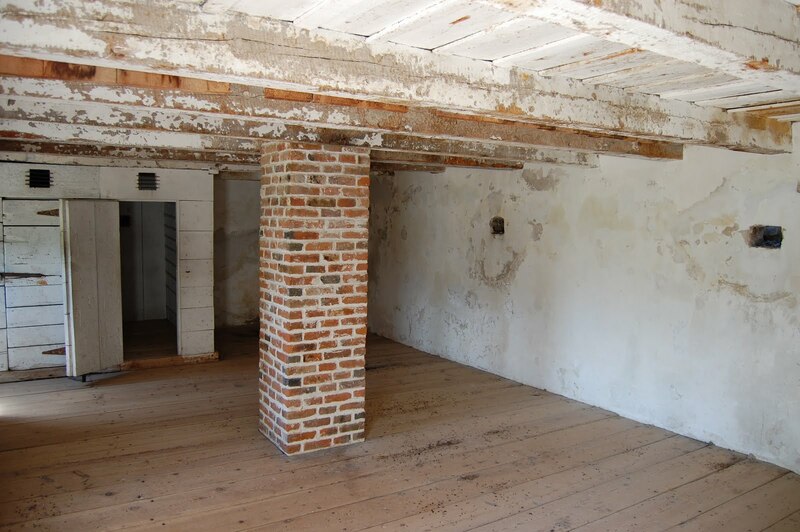 At the time prisoners weren’t allowed any comforts, like a bed, and it was clear they were still there and upset about their lot; never before have I felt so uncomfortable and haunted in such an instant. I quickly made my way out and explored the rest of the camp, enjoying how it’s been restored to its past splendor. Ft. Laramie is an excellent historical site that is well-maintained and worth a stop, if for nothing else a quick drink in the camp saloon that fashions much of its original decor. I was pleasantly surprised by this and had a great time learning about the history of the fort from a very knowledgeable bartender.